Not all artists are poor, but the inequality of incomes is marked. On average, artists receive lower incomes than people in other occupations. A few superstars earn high incomes. This leads to great inequality among artists. Artists with high incomes are often among the best artists. Various determinants of artists’ earnings have been identified. Talent, or creativity, is very important, but belonging to a well-established artistic network, training in a prestigious school and luck also matter greatly. 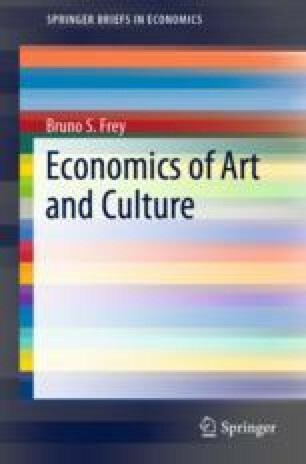 Artists are considerably more satisfied with their work than non-artists, mainly because they are intrinsically motivated and enjoy autonomy.